You had better start trying to understand what is going on because you are about to live with the fallout in one way or another. It will not only affect your investments, it will affect the future of our democracy. It is hard to get people to listen at a market top especially when the naysayers have been “wrong” for so long and reality is so illusive. Doug Noland’s insights are priceless, but maybe difficult to follow to those new to his writing. He titled his article “Faux Statemanship” in regards to Ray Dalio and others who correctly diagnosis our damaged state of affairs but only after becoming filthy rich off the situation. The real danger are their solutions. I titled this post “Faux Capitalism” since finance is driving fiscal and monetary decisions not the economy. Doug does not use the term “financialism” but this is what I call the current dominate system in America. Financialism uses the financial system to “extract” wealth instead of creating wealth in the real economy with real businesses – old school Capitalism. Ray Dalio became a billionaire off financialism and my guess is his “solution” will be to spread the hidden cost to the many so the financial elite can keep what they gained. In other words, his diagnosis that something is deeply wrong is spot on and will gain him a following, it is just that I expect his treatment to the disease to be the equivalent of blood-letting for the many. I expect to be hear a lot more billionaire-splaining in the near future since they usually aren’t fans of socialism which for some strange reason to them is gaining traction. To tie this into your retirement accounts, it is important to understand why stock prices have become completely detached from valuations – valuations that are based on the long-term ability of the companies to generate a real return via streams of earnings and cash flows. The answer in a word is financialism. Financial engineering, accounting engineering, risk transfer, tax evasion and money printing are the bedrocks of financialism. The outcomes of financialism will express themselves upon the TSP funds during the next bear market. It won’t be pretty. It will also express itself upon our political system. It already isn’t pretty. Doug Noland’s “Faux Statesmanship” is a good place to start to gain that understanding of what really happened. It will take an additional 15 minutes to read, so grab your go-to drink and begin, or email it to yourself to read later. The financialist and their donees leading the country will be happy to explain “what happened”. You need to see through it. I’m reminded of back in 2007 when Pimco’s Paul McCulley coined the term “shadow banking” – and the world finally began taking notice of the dangerous new financial structure that had over years come to dominate system Credit. Okay, but by then the damage was done. As someone that began posting the “Credit Bubble Bulletin” in 1999 and had chronicled the prevailing role of non-bank Credit in fueling the “mortgage finance Bubble” fiasco (on a weekly basis), I found it all frustrating. Why wasn’t the discussion started in 2001/02 when mortgage Credit began expanding at double-digit rates, and there were clear signs of Bubble formation? Oh yea, that’s right. There was desperation to reflate the system and fight the “scourge of deflation” after the bursting of the “tech” Bubble. Excess was welcomed early on – and later, when things got really heated up, nobody dared risk bursting the Bubble. There was a window of opportunity early in the mortgage financial Bubble period for “statesmen” to rise up and call out the recklessness of the Fed spurring mortgage Credit excess and house price inflation in the name of system reflation. Statesmen and women should have excoriated governor Bernanke for suggesting the “government printing press” and “helicopter money” – the type of crazy talk that should disqualify one for a position of responsibility at the Federal Reserve. Fed chairman? You’ve got to be kidding. There was a window of opportunity to rein the Fed in after QE1. The Federal Reserve should have been held to their 2011 monetary stimulus “exit strategy.” Instead they doubled down – literally – as the Fed’s balance sheet doubled in about three years to $4.5 TN. Mr. Dalio – along with virtually everyone – didn’t seem to have any issues. Indeed, an unprecedented expansion of non-productive debt (certainly including central bank Credit and Treasury borrowings) somehow equated with “beautiful deleveraging.” It was ridiculous analysis in the face of the greatest global Bubble in human history. Central banks aren’t fully to blame, but it’s an awfully good place to start. Three decades of “activist” monetary management has left a horrible legacy. The Institute for International Finance reported this week that global debt ended 2018 at a record $243 TN. This debt mountain simply would not have been possible without “activist” central banking. Despite a lengthening list of risks, global stocks have powered higher in 2019 to near all-time highs. A relentless speculative Bubble has only been possible because of central bank policies. I’m not all that interested in Dalio’s “solutions.” In my book, he missed what was an exceptional opportunity for statesmanship. Bridgewater’s investors were the priority and have been rewarded handsomely. Pro-central bank “activism” has been the right call for compounding wealth for the past decade (or three). But no amount of ingenuity will resolve the historic predicament the world finds itself in today. Markets are broken, global imbalances the most extreme ever, and structural impairment unprecedented – and worsening, all of them. Most regrettably, the type of structural reform required will only arise from a severe crisis. The Fed and global central bankers have been reflating Bubbles for more than three decades. Highly speculative global markets at this point completely disregard risk. And with borrowing costs incredibly low, what government (ok, Germany) is going to impose some spending discipline and operate on a fiscally responsible trajectory? At this point, finance is hopelessly unsound – and, importantly, hopelessly destructive on an unprecedented global basis. I had the great pleasure to spend part of my Friday with the University of Oregon Investment Group. I gave a talk, “Money, Credit, Inflation and the Markets.” Being with bright, intellectually curious and enthusiastic university students gives me hope – and a smile. I’m reminded of an analogy I’ve used in the past. One could make a reasonable argument that our eyeballs are flawed. How could something of such importance be so soft, delicate and vulnerable? Yet this vital organ is not flawed – imperfection is not a legitimate issue. It is the nature of its function that dictates its characteristics and vulnerabilities. It cannot sit within a protective ribcage like the heart, or within the hardened skull as the brain does. To be able to see the world – looking at distant mountain ranges and then immediately shifting focus to the pages of a wonderful book – requires an exquisitely complex organ functioning right out there exposed to the elements and largely unprotected. Importantly, we recognize and accept our eyes’ sensitivities and vulnerabilities. We would not wander into a metal shop without wearing protective eye coverings. We don sunglasses on bright days – darkened snow goggles for spring skiing. We learn at a very young age not to stare into the sun. I disagree with the increasingly popular view that Capitalism as flawed. At the same time, I have been long frustrated by those dogmatically preaching the virtues of Capitalism without accepting the reality of inherent delicacy, vulnerabilities and weaknesses. As we are with our eyes, we have to be on guard, take precautions, and definitely avoid doing anything stupid. Who is reckless with their eyes? There’s too much to lose. No one wants to contemplate being blind for the rest of their life. How could we ever have allowed Capitalism to be so irreparably damaged? There are innate instabilities in Credit and finance that have been disregarded for way too long. Unsound “money” is a primary (and insidious) risk to capitalistic systems. I would further argue that persistent asset inflation and recurring speculative Bubbles pose a major risk to sound finance and, as such, to Capitalism more generally. Moreover, inflationism – “activist” central banking – with its asset market focus, manipulation and nurturing of speculative excess and inequality, is anathema to free-market Capitalism. When the Fed slid down the slippery slope and implemented QE, the economics profession and investment community failed society. The case against QE shouldn’t have been primarily focused on inflation risk. The overarching danger was a corrosive impairment of markets and finance, with resulting dysfunction for Capitalism more generally. The risk was destabilizing inequality, insecurity and resulting societal stress. There was the peril of a fragmented society, divided nation, political dysfunction and waning trust in our institutions. Somehow, everyone was content to ignore the reality that unsound “money” reverberates throughout the markets, the economy, society, politics and geopolitics. Over the years, I’ve referred to the “first law of holes.” If you find yourself in a hole, the first requirement is to stop digging. Similarly, I’ve repeatedly noted the long-ago recognized issue with discretionary monetary management: One mistake invariably leads to only bigger mistakes. And I’m fond of reminding readers that “things turn crazy at the end of cycles.” Historic cycle, historic “crazy.” I’ll repeat what I’ve written many times before: From my analytical perspective, things continue to follow the worst-case scenario. It was yet another mistake for the Fed to go full U-Turn dovish. It was another blunder for the global central bank community to signal they were willing to move quickly and aggressively to bolster international markets. The 2019 speculative run in the markets only exacerbates underlying fragilities – worsens inequality – and sets the stage for an only deeper crisis. I’ll be curious to see if Ray Dalio’s “solutions” include having the Fed disavow aggressive monetary stimulus, while letting markets begin functioning on their own. The biggest problem with Capitalism these days is that the system is not self-adjusting and correcting. Structurally distorted markets and deeply maladjusted economies are incapable of correction. Global imbalances only worsen every year. Speculative Bubbles inflate on further. Global central banks are understandably distressed about the potential for market dislocation and crisis. Yet recurring efforts to forestall upheaval increasingly risk financial collapse. There is no real solution until deeply flawed monetary management is recognized and changed. The current course will only exacerbate inequality and foment Dalio’s “revolution.” Any soul-searching and scrutinizing of Capitalism must begin with central banking and monetary mismanagement. Where were the likes of Dalio, Dimon and Buffett when it could have made a difference? Faux Statesmanship. 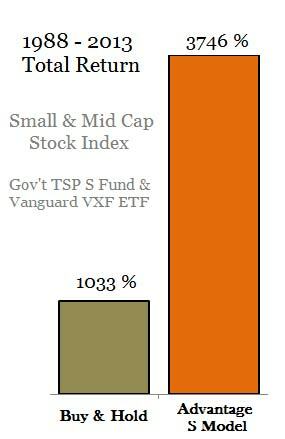 While gaining subscribers to my TSP & Vanguard Smart Investor service is important to me, equally important is my concern for our country and trying to make sense of what is about to happen. This blog is free and so I hope you check in once and awhile to catch up and a “like” tells me these posts are worth the effort. We need to get the next few years right. We need to leave financialism behind and return to a better form of social-capitalism. A capitalism that understands you need both a healthy demand-side and the supply-side and not just money printing flowing to wall street and supply-side beneficiaries (CEOs). America is about to hit a debt-berg similar to how the Titanic hit an iceberg. Prepare to head for the lifeboat – the TSP G fund or short term treasury funds. I guarantee you Ray Dalio and his type are climbing in now if they are not already sitting in one. Heck they probably bought them and are selling seats.